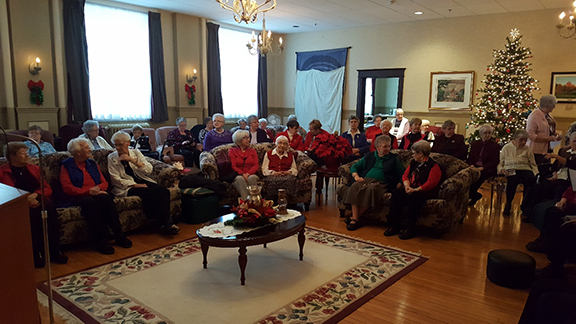 Our official Newfoundland and Labrador launch of our 300th anniversary celebrations took place at our motherhouse in St. John’s on Christmas Eve, 2017, joining hearts with Presentation People around the world. 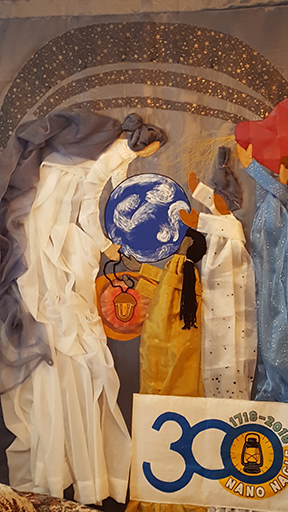 Our launch was marked by a special prayer, during which we had the unveiling of the 300th anniversary banner created by Sisters Elizabeth Kennedy, Marie Furey and Marilyn Doyle. At the time of the unveiling, Marilyn shared the very moving story of the banner’s creation with all its unfolding symbolism. 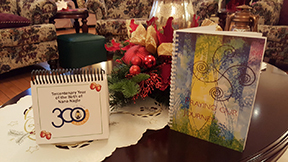 At the same celebration copies of our 300th anniversary calendar compiled by Sister Paula Delahunty and Sister Roisin Gannon of our NL Province were presented to our sisters and associates, with copies also for those sisters and associates unable to attend the celebration. Presented, too, were copies of the “Praying our Journey” prayer resource booklet prepared by the Nano Nagle Commission whose members were Sister Betty Rae Lee of our NL Province of Union, Sister Veronica Casey of New Zealand, Sister Anne Lyons of the Irish Province, and Ms. Margaret Rosair, an associate with the India Province. 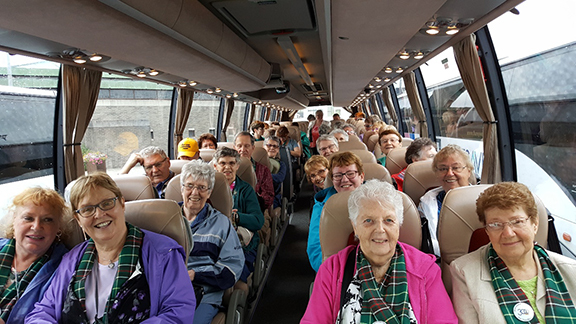 More celebrations would follow throughout the year, including the planning of a two-week pilgrimage to Ireland in August to retrace Nano’s footsteps as well as celebrate her legacy, while also visiting sites integral to our Irish history and our history as Presentation Sisters. While honouring the role the Nagle family played in supporting her through the years, integral to the pilgrimage would also be exploring the maternal side of Nano’s family history with a special stop in Thurles and a guided drive through the surrounding area. Arriving in Dublin in the wee hours of the morning to begin what was to be an amazing journey, and a photo journal shared every day with those at home!